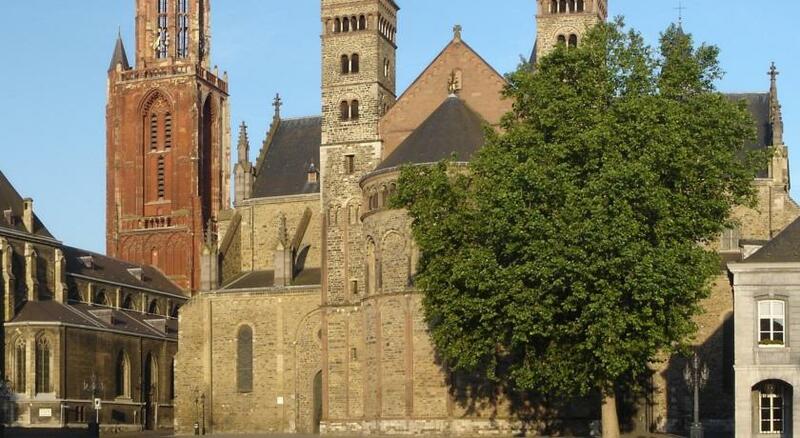 The hotel is in the center of Maastricht . The receptionist was very nice. Easy to get to location, and a great location to explore from. Outdoor seating is a nice way to watch the city. Wednesday morning a market appeared on the plaza. It was right in the middle of the town. Easy walk to go sightseeing. The breakfast was delicious and they are open late for drinks as well. The staff was friendly and helpful with our late night check in. 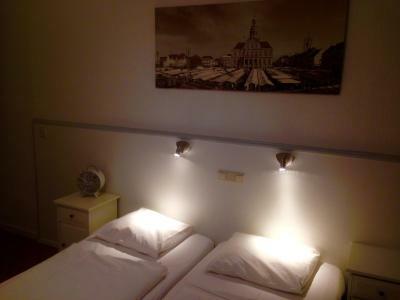 The beds were really comfortable and the rooms very clean. Parking was only a 2 min walk and the parking garage was very nice and secure. 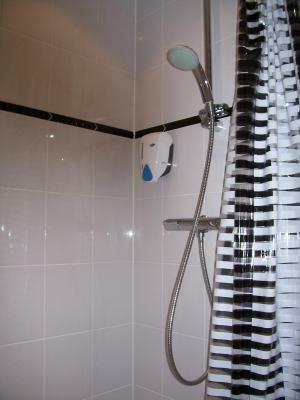 Although both the en suite bathroom and the room itself were small, they were clean and reasonably comfortable. Wifi worked well. The included breakfast was hearty. 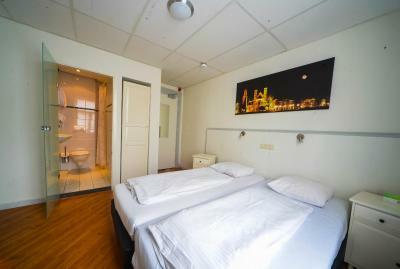 The hotel's location is very good as many things are within easy walking distance. Great location. Definitely value for money paid. Especially during Andre Rieu concert time. Breakfast was good. Great staff, I would definitely come back again. Staff was friendly, and the restaurant was conveniently right downstairs. 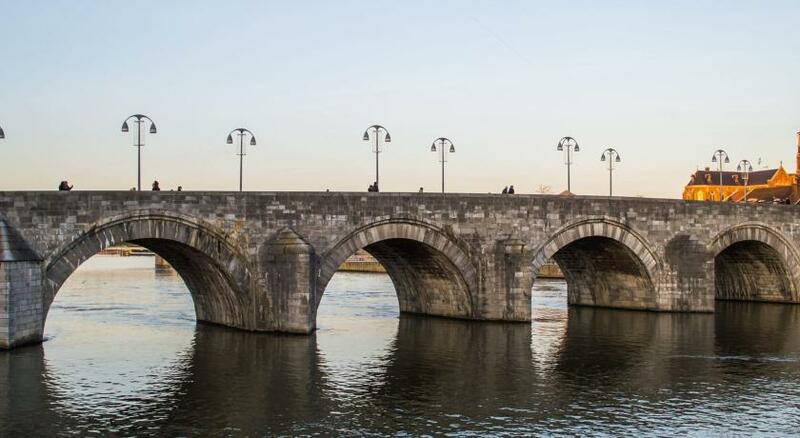 Hotel de la Bourse This rating is a reflection of how the property compares to the industry standard when it comes to price, facilities and services available. It's based on a self-evaluation by the property. Use this rating to help choose your stay! 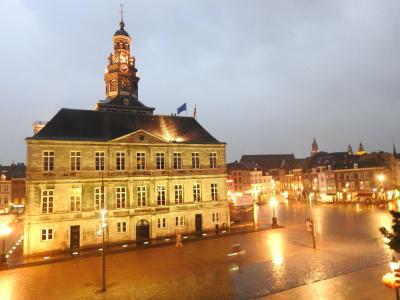 One of our top picks in Maastricht.Hotel de la Bourse offers non-smoking rooms overlooking Maastricht Market Square, less than 350 feet from Maastricht Stadhuis. 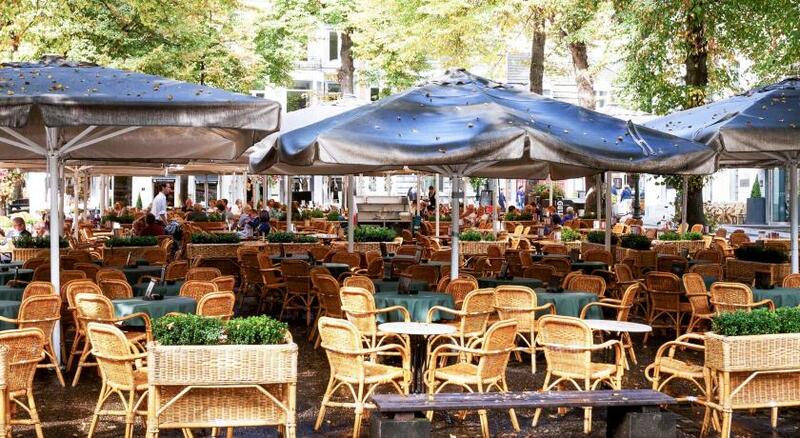 It features a terrace and a restaurant serving Dutch and French dishes. 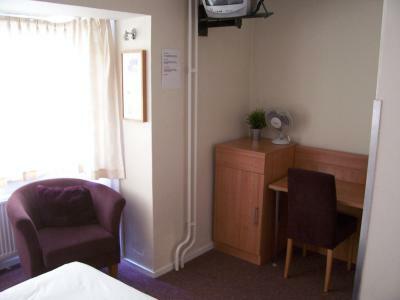 All rooms have simple, modern furniture and are equipped with central heating and a TV. 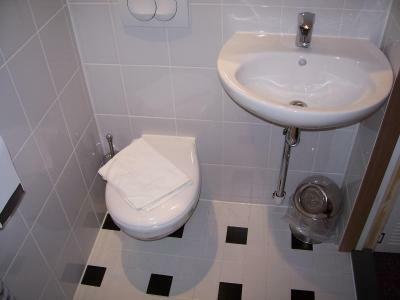 Bathroom amenities are provided. 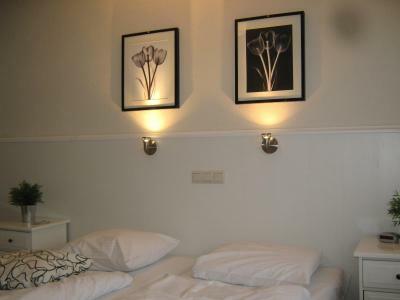 Hotel de la Bourse is a 5-minute walk from Maastricht University. 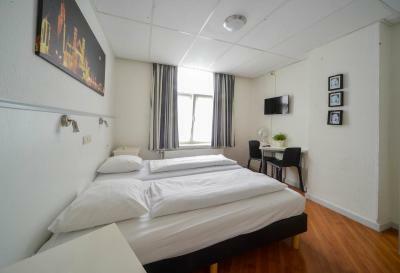 It is 1,650 feet from the terrace cafes and restaurants of Onze Lieve Vrouweplein. There are bus stops outside the hotel. 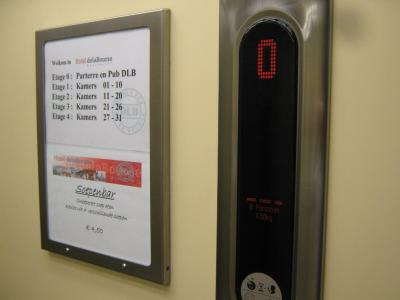 Public parking is available at a location nearby (reservation is not possible) and costs EUR 9.50 per day. 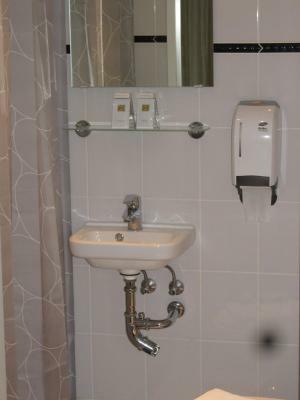 House Rules Hotel de la Bourse takes special requests – add in the next step! ATM card Hotel de la Bourse accepts these cards and reserves the right to temporarily hold an amount prior to arrival. Hotel de la Bourse accepts these cards and reserves the right to temporarily hold an amount prior to arrival. Due to the location it is fairly noisy at night time from local cafes, and also early morning when they are setting up the market. 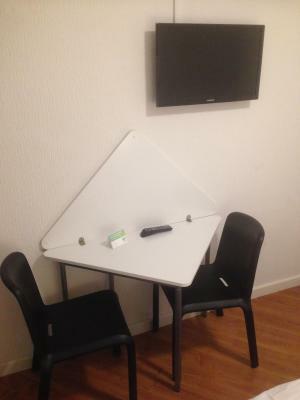 The rooms are a bit dated. 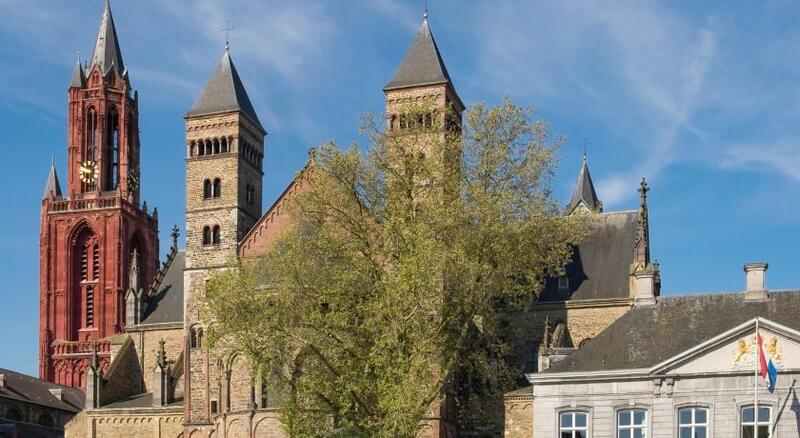 Super location on the market in Maastricht. Nice cafe downstairs where breakfast is also served in the morning. We parked at Q-park Frontenpark which is just a 10 minute walk from the hotel and cost 9 Euro per day. They lied about the parking, and the sheets were allready used. The restaurant was very well. Unfortunately, our room (room 12) was facing the square. On the square, there was a nightclub that played heavy bass music until 6am! The room insulation was not great and so the sounds from the club and the drunk people in the square really carried through. Because of this, I was not able to sleep (I am a light sleeper) for the first 2 nights, and so we actually checked out a day early and went home. 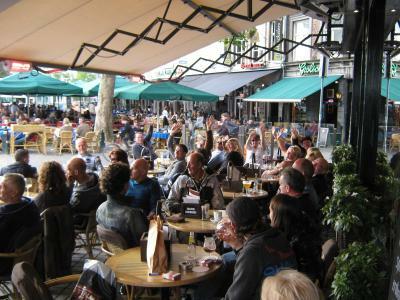 The accommodation was located on an amazing square in Maastricht, nearby restaurants and lots of shops. 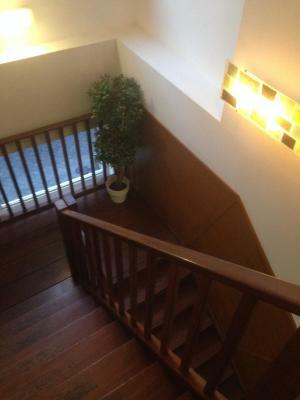 The rooms and hotel were simply but adequately furnished.